“Church” Worker Vets Trafficking Hallucinogenic Ayahuasca “DMT” Enterprise Netting Hundreds of Thousands of Dollars in Tax Free Income for Hawaii Attorney Paul J. Sulla, Jr. 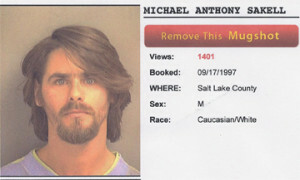 Convicted marijuana trafficker Michael Anthony Sakell spills the beans on attorney Paul J. Sulla, Jr.’s drug manufacturing enterprise trafficking hallucinogenic ayahuasca (“DMT”). According to substantial discoveries in multiple court cases brought by Sulla to steal the real estate of Dr. Leonard Horowitz under “color of law,” Sakell’s sworn affidavit tells the truth about Sulla, despite Sakell’s felony records and not being trustworthy in his own business dealings. The large cash flow that Sakell described helps fund millions of dollars in real estate investments, otherwise called “money laundering,” through Sulla’s so-called “Sky of Hawai’I Church” operation on the Big Island of Hawaii. Dr. Leonard Horowitz was threatened with assault by Sakell after the felon was himself threatened by Sulla’s “church” members for providing Horowitz with the attached affidavit detailing Sulla’s trafficking hallucinogenic ayahuasca from the church while Sakell worked as a land caretaker on the doctor’s estate in Pahoa, HI, in 2010. Click AFFIDAVIT OF MICHAEL SAKELL to read this Sulla-incriminating record now in the hands of State and federal prosecutors.